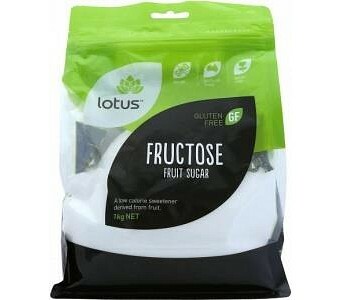 Lotus Fructose makes a great substitute to regular sugar because it?s naturally derived from fruit and is two times sweeter. So imagine baked goods tasting naturally sweet without any added preservatives or food nasties that table sugar contains. Gluten free GMO free Low in saturated fat No added salt & sugar No artificial flavours, colours, or preservatives Nut free Soy free Suitable for baking cookies, tarts, & desserts Vegan & vegetarian friendly Packaged in re-sealable oxygen barrier bag to seal in freshness Ingredients: Fructose fruit sugar.